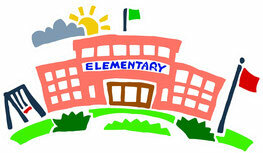 NPBC is proud to partner with Ramona Elementary. We focus on supporting their work in equipping students for life. One of the elements of that support is volunteering at the school. If you would like to volunteer as a reader for a class, a mentor to a child, or a body that can help out where you are needed, it does not demand a large amount of time and the process is simple. Click here to fill out the volunteer application with the Duval County School Board, it only takes about 5 minutes. The school will be notified you have been approved. You can stop by the school office in about 3 weeks and they can verify your acceptance. Then, be ready to help out.